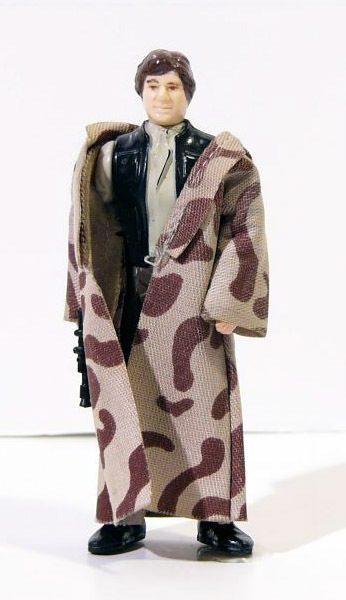 This is my Han Solo in trenchcoat from when I was a kid. This figure was on my birthday cake in 1983. Years and years ago, I touched up/repainted his hair. I have another one of these that’s in better condition, but this is the one I had as a kid. I purchased a replacement weapon for him on ebay a few years ago.